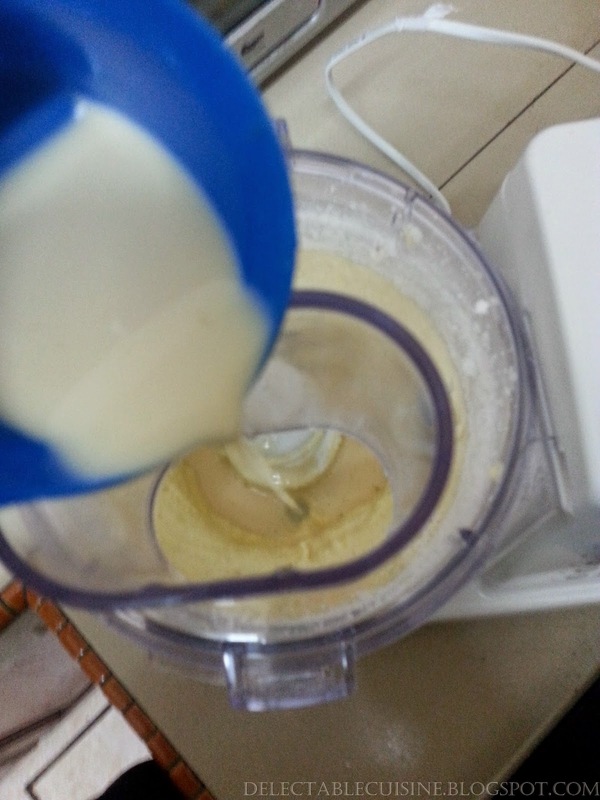 My first recipe entry after the hiatus! I was actually supposed to post the recipe for the carrot rice which went along the Ayam Masak Merah. 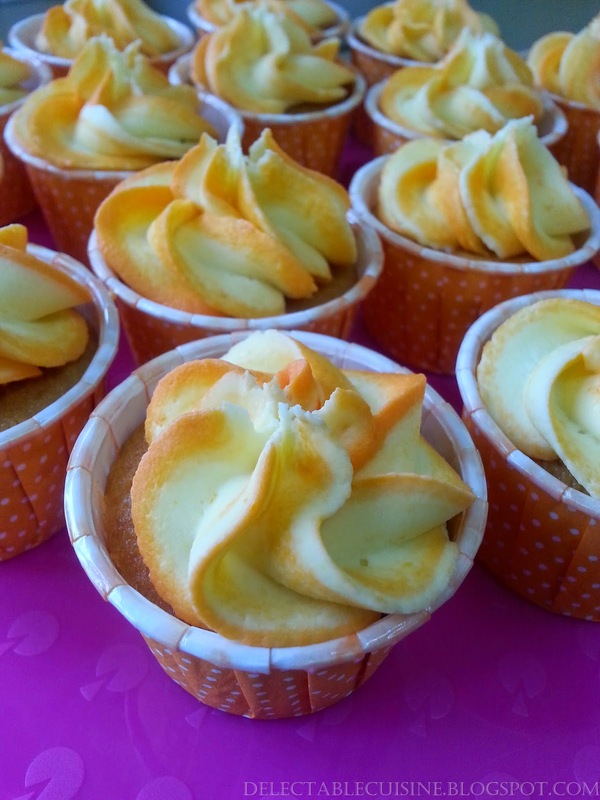 However, I thought I should start off with something sweet and hence recipe for these lovely cupcakes. 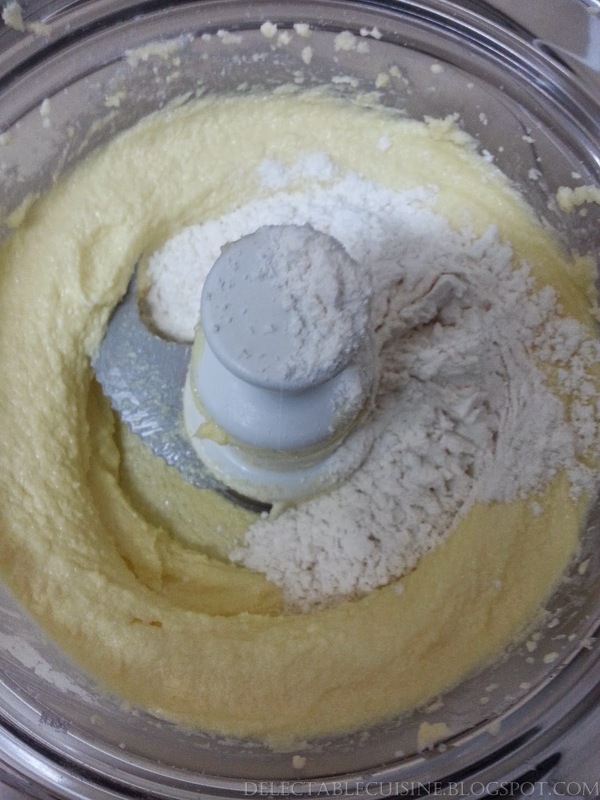 For the very first time I tried making the cupcake batter and also the buttercream icing in a food processor and I was indeed very pleased with the results. 1. Preheat the oven at 180 degree Celsius. 2. 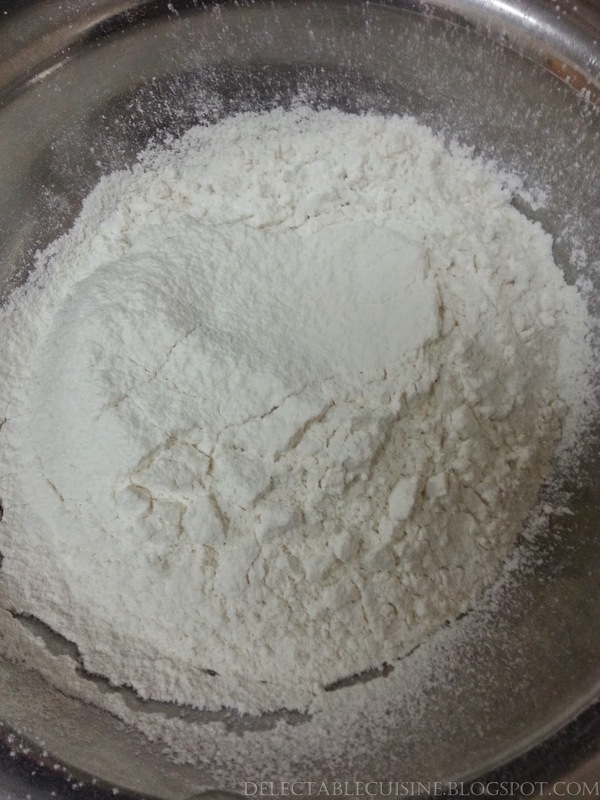 Sift together the self-rising flour and baking powder. 3. 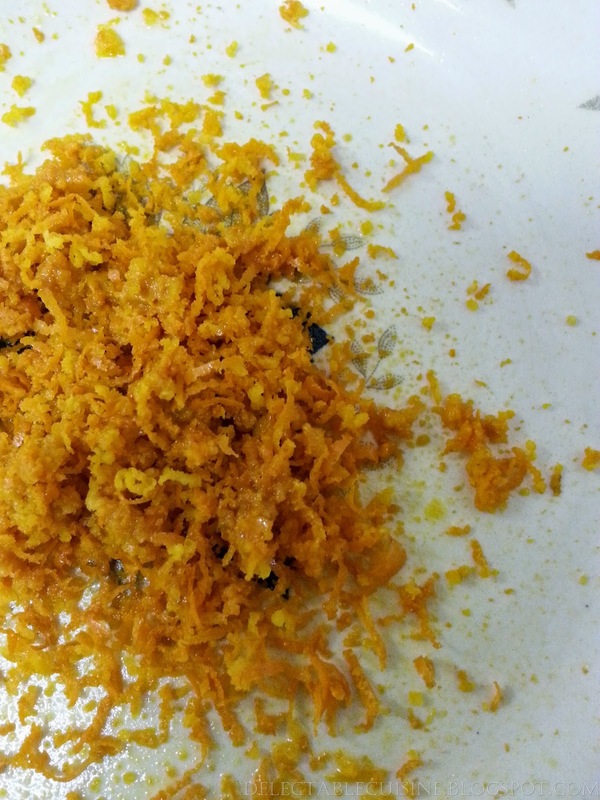 Finely grate rind of two oranges and squeeze the juice of those oranges. 4. 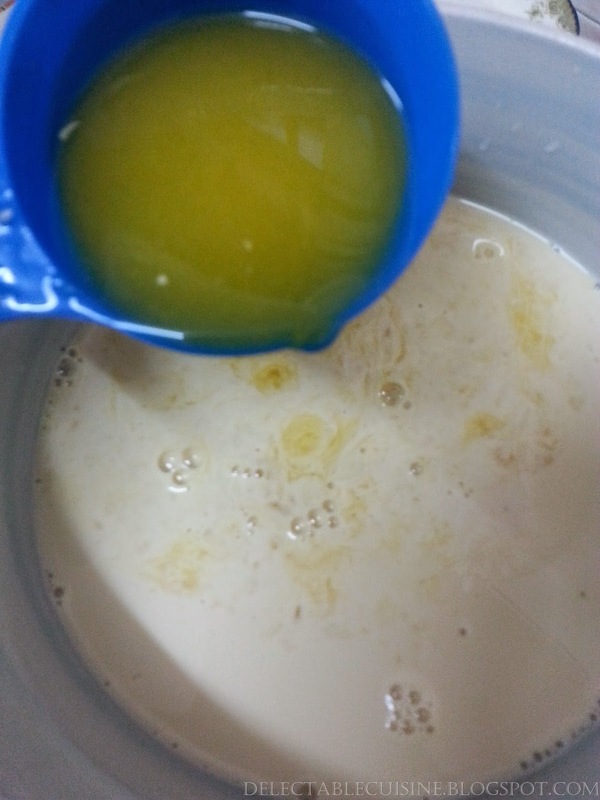 Mix the orange juice with the evaporated milk and keep aside. 5. 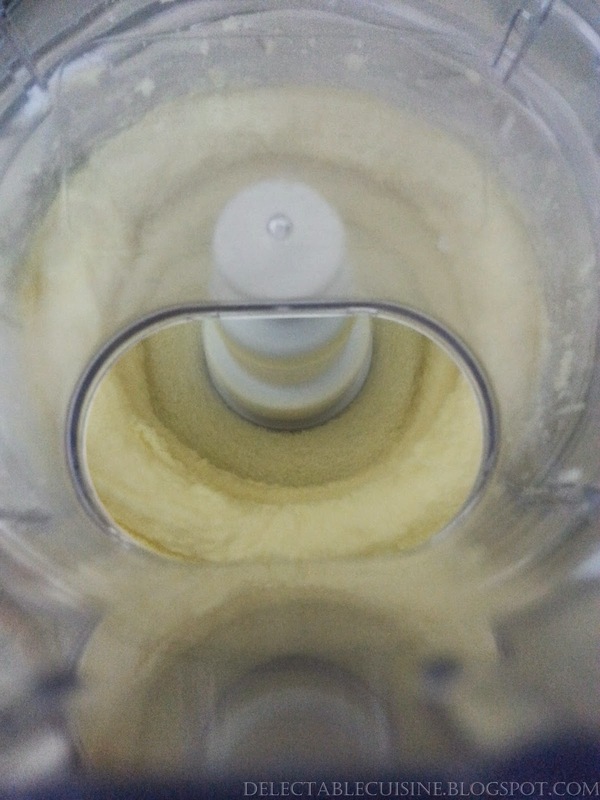 Cream the butter and sugar in the food processor until fluffy. 6. 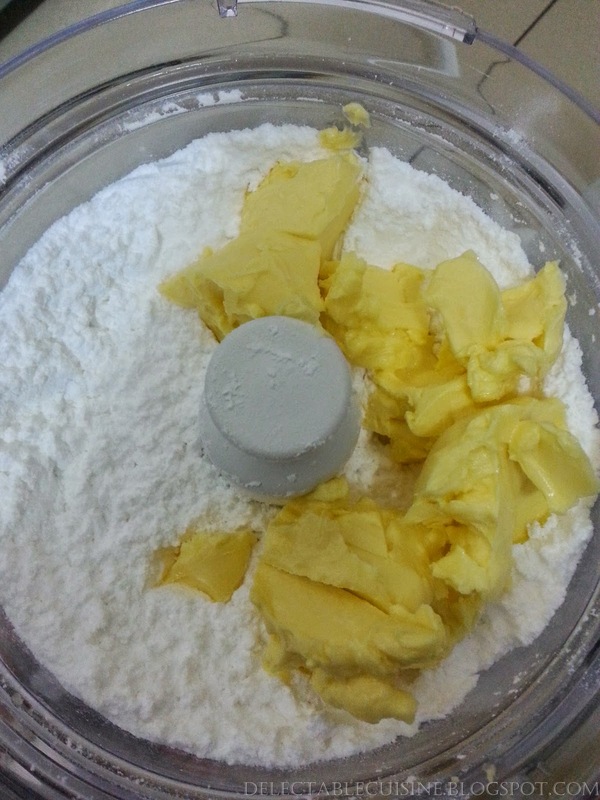 Mix in the sifted flour and milk mixture alternately. 7. 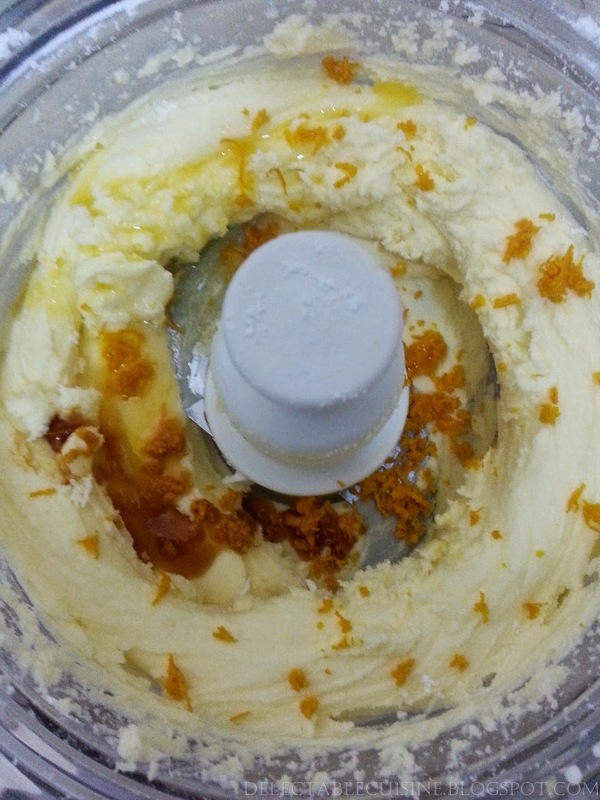 Lastly, mix in the orange rind, vanilla extract and honey. 8. 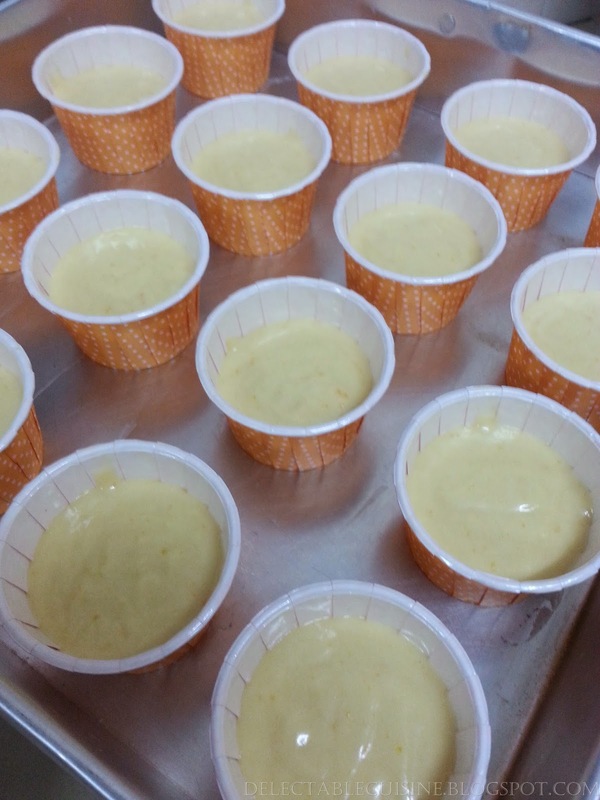 Pour the batter into cupcake cups about 2/3 full. 9. 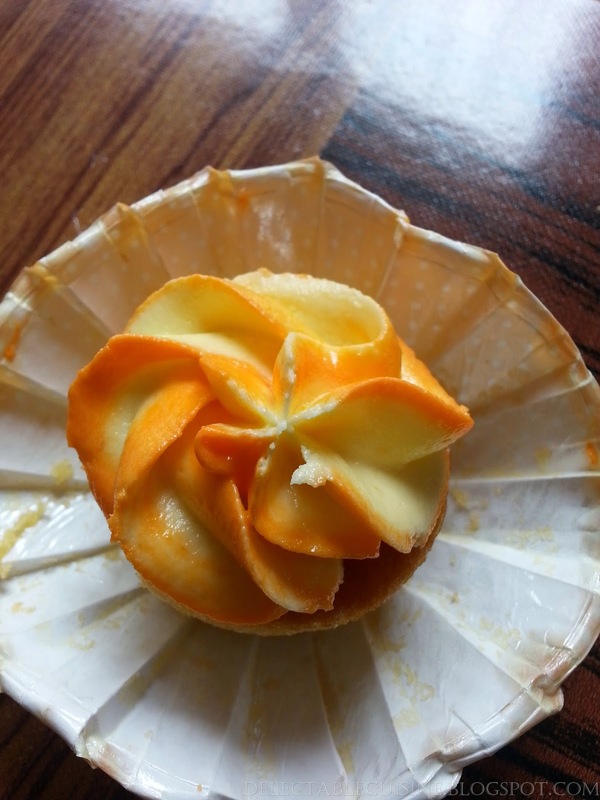 Bake for about 25 to 30 minutes or until when a cake tester/toothpick inserted in the middle of the cupcake comes out clean. 10. 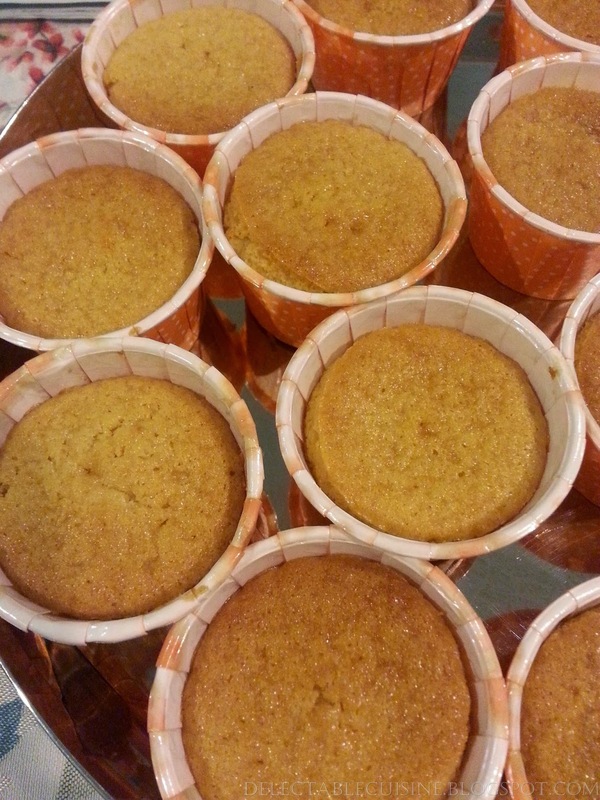 Once the cupcakes are done, remove from oven and let them cool completely before icing it. 1. 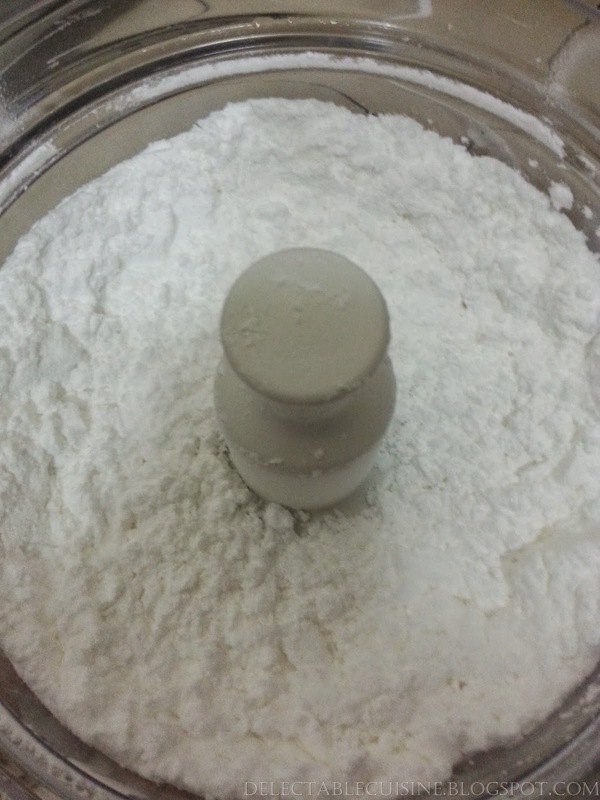 Pulse the icing sugar to break up all the lumps. 2. 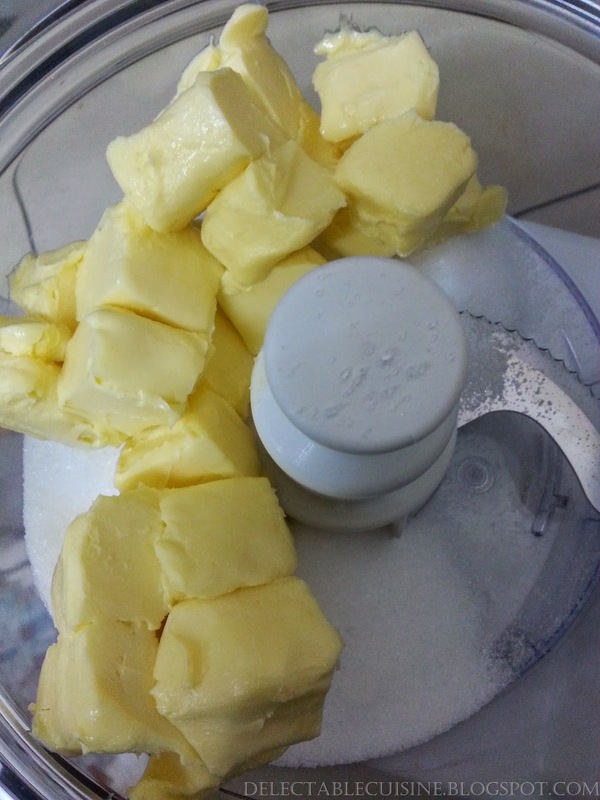 Add in the butter and beat until it is well incorporated. 3. 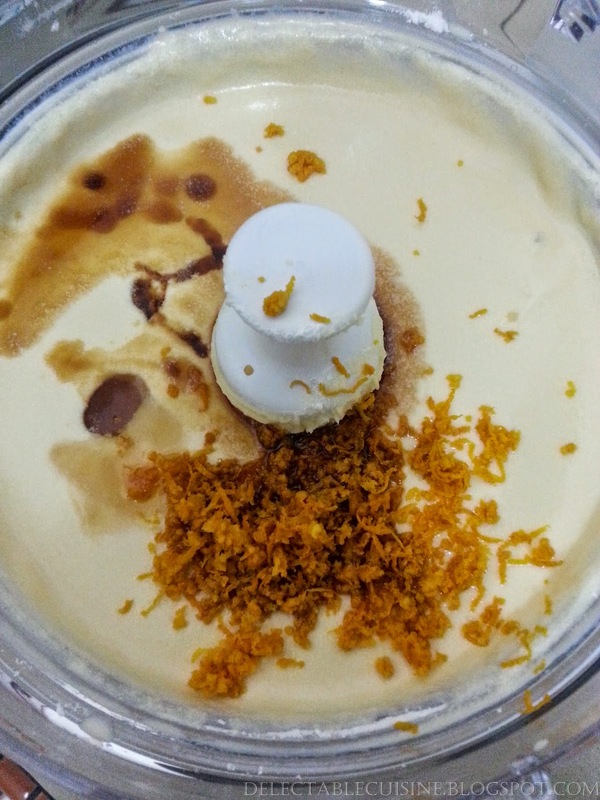 Mix in the orange rind,orange juice and vanilla extract. 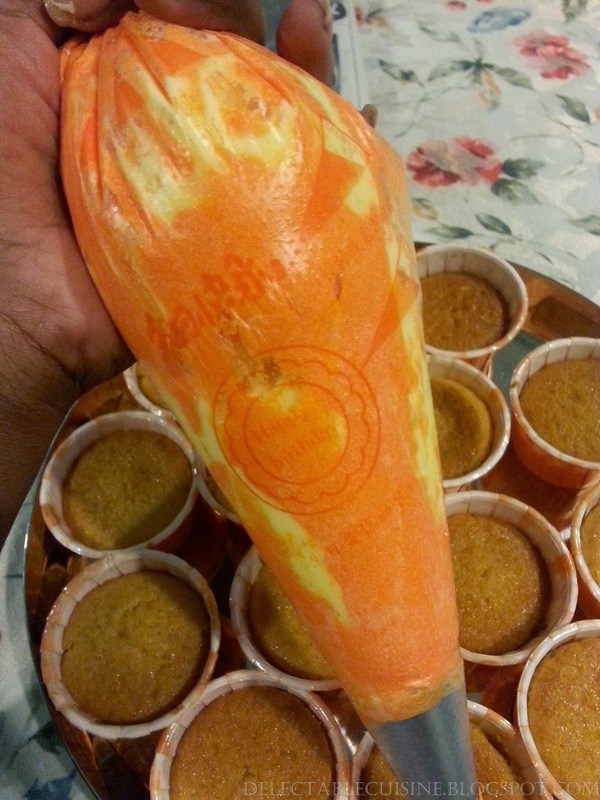 Mix in the food colouring as well, if desired. 4. 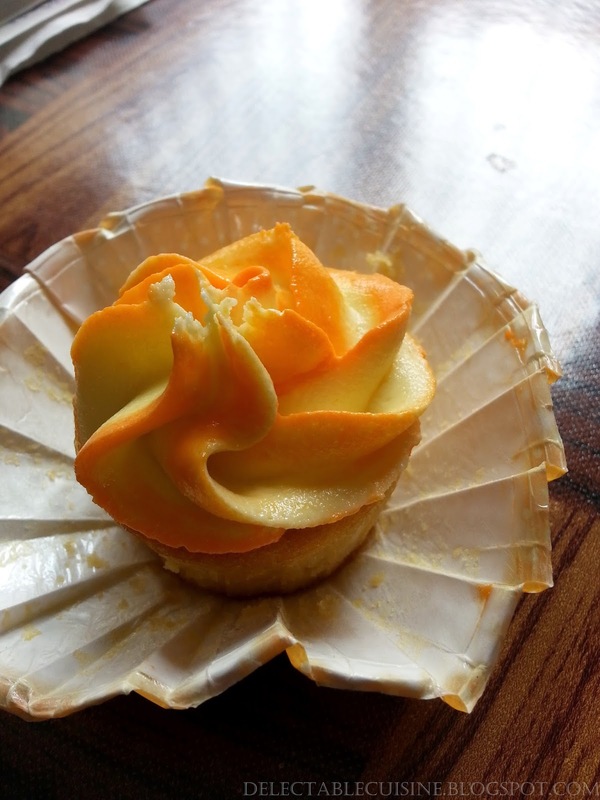 Place the buttercream icing in a disposable icing bag with any tip of choice and pipe as desired. 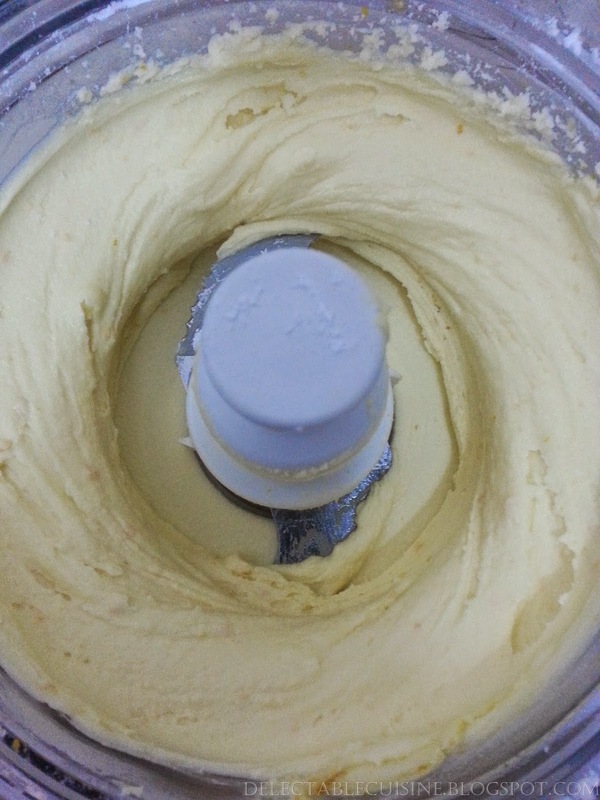 I did a two-toned icing and I followed the method in this video.